Friday Grab Bag: Caper and Dungeon World, Baby! The 200 Word RPG Challenge for 2017 has wrapped up. Here are the winners: Winners and Finalists. 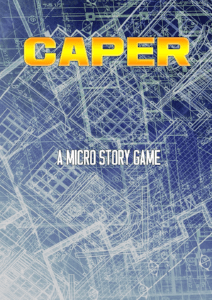 Tina T. recommends the heist game Caper by Dale Elwy. You are a group of thieves on a heist, stealing a treasure! The setting is up to you. Challenges are secretly written on slips of paper by the players and drawn from a hat. The best part: during setup and play you put some coins on the table (action resolution is also based on a coin toss). If you manage to steal one of the coins without anyone noticing, you successfully double-cross your team and take the treasure for yourself! I love it, actual physical stealth in a heist game. There is an expanded RPG version and the original 200 Word RPG entry. Shane Ward from 3 Toadstools Publishing has a 17-pages PDF of maps: Ward's Warrens Volume 1. The author, Brian Holland, also has a patreon where you can support him. 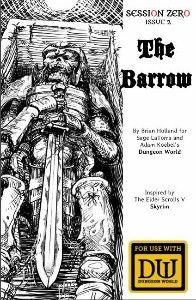 There is a set of DungeonHacks to make DW more like D&D. Personally, I like the differences (e.g. no set turn order). So I won't use this but perhaps you want to. The rules for diseases might be handy though. Dawit Thepchatree made a 2-pages PDF of the official compendium classes: Compendium Classes. And there is also the DW Die of Fate. This is a PDF with tables to roll on for the Game Master moves. More interesting links at the Dungeon World Newsletter.